In keeping with our Five Year Anniversary Issue whose interview subjects took us deep into the past and present of French culture, we did a special book giveaway of Salley Vickers’ latest novel, The Cleaner of Chartres (Viking). Our summer challenge was this- write no more than 500 words (fiction or non-fiction) about a day you spend in France. You have the freedom to choose what region and time period you prefer. What is essential is that you include detailed descriptions that are transportive to the reader. You must include at least one famed landmark (historical, architectural, etc…) and one French phrase (could be a few words). Think about who you would meet, what you would do and the role you would play in the events of this day that you create. You can have, be, see and obtain anything. Step outside your comfort zone and really ask yourself what you would want during this twenty-four hour period that is entirely in your control. Embrace joie de vivre and share the details. We had numerous intriguing entries. Honorable mention goes to Dana Facchine and Terin Tashi Miller. 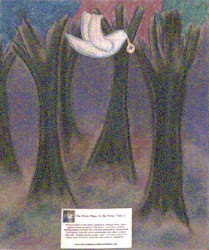 Our winner is Cheryl Sommese, as her entry most closely embodied the theme of the challenge (to meet anyone, to have, be, see or obtain anything with the spirit of joie de vivre) with a surreal, unique story. “I never thought I’d find you here,” Justine stammered as she sat in the enchanting café at the bottom of the cobblestone hill. "Who did you expect to find?" the surreal voice echoed. The woman was not sure how to respond, so she remained speechless for a bit. Justine and Dave romanticized about going to France for several years. Actually, Justine’s fantasies were probably somewhat more intense, Dave would have been just as happy traveling back out to Utah. Still, the woman felt her heartstrings were woven into Western Europe like threads of gold embroidered onto a large tapestry. 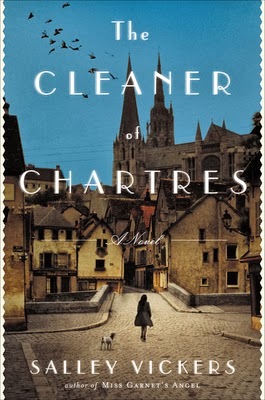 So, when the Eurail screeched noisily into Chartres, she knew she was exactly where she was meant to be. Besides, could any North American town rival a dreamy locale that beckons writers and artists like mother bears summoning their young? “So, what do you think of my house?” the elusive man asked. “Which one?” Justine diffidently replied. "The one you just visited," he softly answered. How might she articulate her feelings? After all, the medieval, gothic construction with its multiple towers, countless choirs, endless stained glass windows, slanted mineral flooring, vast labyrinth, heavenly icons, mysteriously darkened interior, well, it was cryptic and glorious! “It’s even more captivating than the Cathedral de Notre Dame in Paris. En fait, il a dépassé toutes mes attentes pour la beauté,” she expressed. Upon blurting this, countless thoughts swarmed through her head: he looks different than I imagined, shorter, perhaps a little heavier, and his laser blue/green eyes seem able to penetrate even the decorated walls. When her attention returned to the room, the charismatic figure was gone. Dave appeared out of nowhere. “Here you are, I got a gift for you. There are some great items on the second level, maybe we can buy a few souvenirs?” he enthusiastically proclaimed. The attractive woman sat in reflection. “Honey, you look troubled, is everything okay?” the handsome gent queried. “Um, yeah, I was just talking to this otherworldly kind of guy. I swear I know him; in fact, I know I know him,” she uttered while trembling. “What did she look like?” Justine hesitantly questioned. “She was petite, with wavy brown hair, and piercing, kind eyes. Oh, and she wore a white veil that draped over most of her head, she must be religious or something,” he animatedly rejoined. Queasiness invaded the woman’s innards. Instead of entering a different continent, she wondered if she had entered a different world. “Was she beautiful?” Justine inquired.